Adventure trip gone bad! There is bloodthirsty dinosaur behind your back! You can't bother with descending one rock and climbing back another one. You have to use the stick to you pass to the other side. Be sure to make the stick accurate, otherwise you will fall or get eaten! 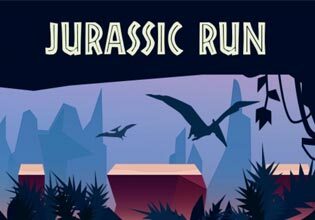 And don't forget to collect the dinosaur's eggs to get the second chance.